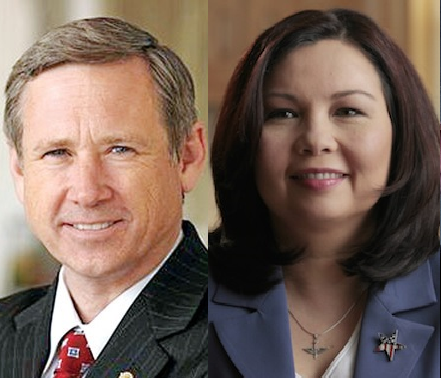 Duckworth is challenging Kirk for Senate. Kirk criticized Obama last week over a $400 million cash payment the administration made to Iran contingent on the release of American prisoners. Duckworth spoke Tuesday in Chicago. She agrees with the Obama administration that the repayment of money from an Iranian account wasn't a “ransom.” Duckworth and other Democrats call for Kirk to apologize. "You can disagree with the President without resorting to the inflammatory rhetoric which is not only offensive, it's totally unhelpful to the cause of a more stable and secure world," Duckworth said. Kirk says, as chair of the Senate Banking Subcommittee, he will hold a hearing on the payment. He says taxpayers have a right to know if their money is financing what he calls "Iranian terrorist activities." Duckworth calls the planned hearings "a waste of taxpayer time and money." Amanda Vinicky and The Associated Press contributed to this report. U.S. Rep. Tammy Duckworth's campaign says she raised a record $2.7 million in the most recent quarter for her closely watched bid to unseat Republican U.S. Sen. Mark Kirk. The Illinois Democrat enters the contest's final months with $5.5 million cash on hand. Kirk's campaign hasn't released his fundraising totals for the three-month period that ended June 30. Democrats see Illinois as one of the party's best opportunities to pick up a seat and potentially retake the Senate in November. Illinois Gov. Bruce Rauner is refusing to comment on a controversial statement made by his fellow Republican, U.S. Sen. Mark Kirk. Asked last week about a recent cash payment to Iran contingent on the release of American prisoners, Kirk said President Obama was "acting as the drug dealer in chief." Kirk and other Republicans have criticized the payment as ransom. Rauner was asked Monday about Kirk’s characterization of Obama. He replied, "No comment."